Even before Sony made their deal with Marvel to share the rights for Spider-Man, they have been trying to get a Spider-Man shared universe going. Back when The Amazing Spider-Man 2 was hitting theaters, Sony had plans for Venom and Sinister Six spin-offs. However, when The Amazing Spider-Man 2 didn't hit as well with fans and critics as Sony had wanted, they reached out to Marvel and struck a deal. Now, with Spider-Man: Homecoming hitting this summer, things are looking up for the Wallcrawler's shared deal. However, Sony has been simultaneously trying to start back up their previously-planned shared universe... just without Spider-Man. They announced a while back that Venom was back on the table, and a Black Cat/Silver Sable movie was also in the works. Venom was revealed to be going for a hard R rating, but since then we haven't heard any news on the project. With a late 2018 release date in mind, things were needing to kick into gear. And now we have some major information on the film. Tom Hardy has officially been cast to play Eddie Brock in Venom, with Zombieland director Ruben Fleischer helming the film. First of all, Tom Hardy is an excellent choice to play Venom. We've seen him reach dark depths, such as when he played Bane in The Dark Knight Rises. But I think him playing Venom will give us a whole new perspective on his acting ability. We're going to see something from him that we've never seen before, and that's exciting. I think he is absolutely going to crush it. It's certainly a better choice than Topher Grace! I'm more concerned about the film as a whole. Ruben Fleischer was given high praise for Zombieland, but he hasn't always knocked it out of the park. Gangster Squad, anyone? It's not so much about Fleischer himself, but rather the kind of director that he is. I was hoping for them to go for a horror director. I know Fede Alvarez has a lot on his plate right now, but he would have been a great pick to direct. 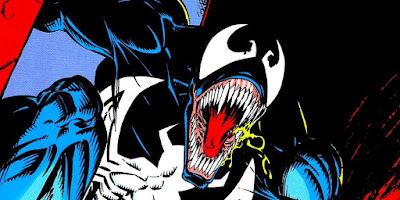 I just don't know if Fleischer is the right fit for a Venom movie. Who knows? No one thought The Russo Brothers would be good fits for Captain America: The Winter Soldier, and they knocked it out of the park! I'm willing to give Fleischer a shot, and the benefit of the doubt. 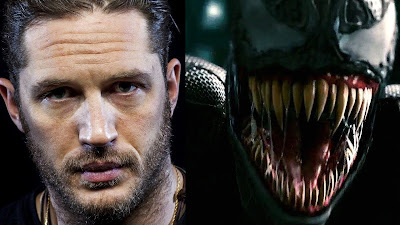 And I am really excited to see Hardy as Venom. What do you think? Are you glad that Tom Hardy will be starring in Venom? Do you like that Ruben Fleischer is directing? Are you looking forward to the film? Leave your thoughts in the comments section below.